Hello again, hope you enjoyed yesterday's post! I am back today with yet another card to share with you. 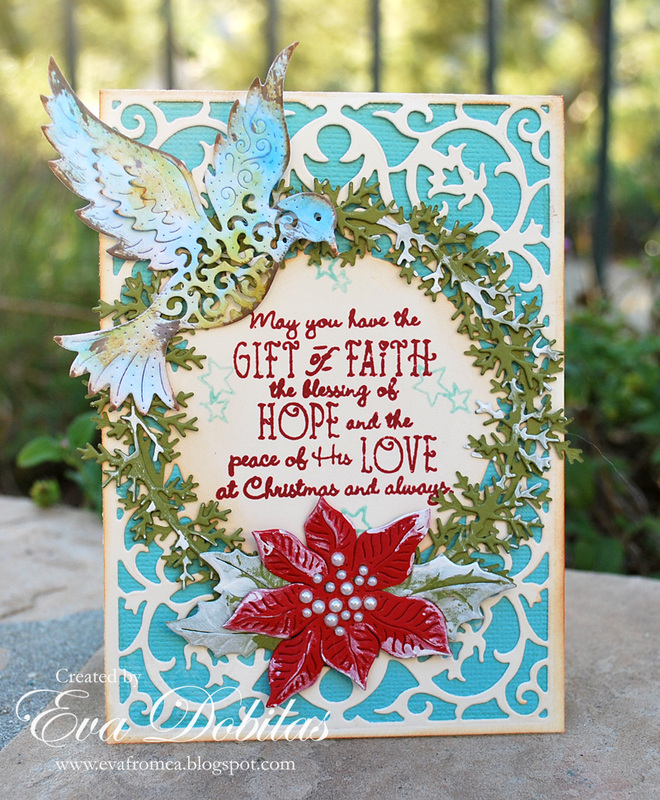 Another sweet christmas stamp set called Gift of Faith, which is a beautiful christmas sentiment set. To create my car base I cut an A2 size card base out of cream color card stock than using the Card Cover Maker #1 I die cut the card front and put a blue piece of card stock in the back to show through the intricate design. Next I stamped my sentiment in the circle portion and stamped a few stars as well. 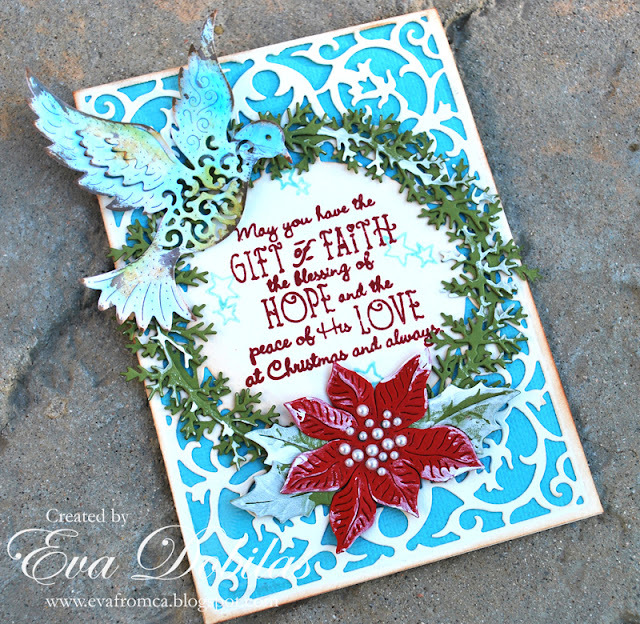 Next I die cut two Joy to the World Wreaths and added it to my card front and added some gesso to make it look snowy. Next I die cut a 3D Poinsettia and cut out the middle portion only, added it to my wreath and added some little pearls in the middle. I die cut some Holly Leaves and added it to my Poinsettia and added some gesso to that too. At last I die cut a Peace Dove using watercolor paper and painted it in using watercolor and added it to my wreath. Well, that is it and I sure hope you like this little card. I think it will certainly put a smile on someone's face around Christmas.